Did you operate a vehicle? 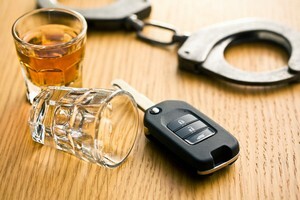 Facing DUI charges in Virginia? You're in the right place. Congratulations on taking the first step to overcoming your Virginia DUI / DWI. You’re undoubtedly nervous, confused, and scared about the case and what the future will be like. This site will answer your Virginia DUI questions. First, we’ll talk about the critical steps for you to take right away. Then we’ll look at fatal mistakes that happen all too often and can sink your DUI case. Next, we’ll analyze your DUI case from start to finish. We’ll start with the side of the road where it all began, then we’ll look at your different court appearances. We’ll explore the individual pieces of your case to see what issues there might be. Then we’ll talk about the trial itself, what to expect at court, and how we can manage any jail time you might receive. Finally, we’ll go through the process of getting you back on the road with a restricted license and eventually fully reinstated to drive. In the final section, we’ll discuss the critical process of hiring attorney and how you can make sure you choose the best DUI attorney to defend you. Disclaimer: The content on this website is for information purposes only. This website should not be taken as legal advice. Prior results do not guarantee a similar outcome. This information should not be taken as the formation of a lawyer or attorney client relationship.